I started writing about theatre back in 201o when I joined the Whatsonstage review team. I had so much love for the London stage that I set up my own blog which has grown steadily over the last six years. I enjoy seeing and supporting new writing for the stage, and the London fringe has a huge amount on offer! Most of all I love working with other theatre enthusiasts who want to share their opinions about the productions they see; this site wouldn’t be what it is without all their fantastic contributions. I really fell in love with the theatre when I put on Female Parts, by Dario Fo and Franca Rame, for the College drama society during my final year at University. My fate was sealed when I left and moved to London because my first job was as an usher at the Barbican when the RSC were in residence. The pay was terrible and the hours inconvenient but you did get to watch the shows, often more than once, and I was hooked. I love all kinds of theatre, from over-the-pub fringe to opera, musicals and West End plays. One of the great delights of London is that there is something on every night of the year and I am a passionate believer in taking advantage of as much of it as time and resources allow. I am also a Friend of the Hackney Empire and thus the best panto in town is an annual fixture. I discovered my passion for theatre when I studied Tragedy at Birkbeck, where I realised how socially and culturally important story-telling on the stage is, as well as how exciting, provocative and inspiring it can be! Since then I have fallen in love with a breadth of genres and writing styles, and I’m especially excited about anything that questions what it means to be human in the contemporary world. London fringe has something for everyone, from quirky venues to ground-breaking talent, and I really enjoy seeing new productions and engaging in conversations about them. 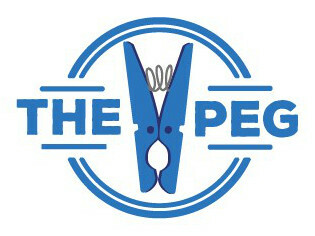 If you would like to join the review team of The PEG please email thepegreview@hotmail.com and tell us a bit about yourself. We are a friendly bunch and welcome new writers, so get in touch and add your voice to the theatre debate.